Brain Injuries - The Gerardo Cantu Law Firm, P.C. Have you been in an accident and suffered a head injury? Has a loved one? Are you happy with the medical care that has been provided so far? Every year almost 1.5 million people suffer some form of a Traumatic Brain Injury (TBI). When you turn to our Houston brain injury lawyer, the first step we will take is to see that you get quality medical care from the top medical providers. We believe in taking care of you first. Then we will turn our attention to those responsible for the severe injury. Then we will seek compensation for you. You pay nothing unless we win your case. At the personal injury law firm of The Gerardo Cantu Law Firm, P.C. in Houston, Texas, we handle all head trauma and injury cases on a contingency basis. Many severe brain injuries are obvious. The victim is left in a coma or with obvious mental deficiencies. However, not all cases of brain damage are obvious. There doesn’t have to be a visible injury to suffer serious brain damage in an accident. These are called closed head injuries. Doctors use the term “mild brain injury,” and this is very deceiving. 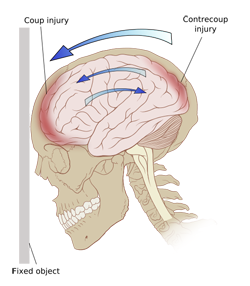 Mild brain injuries can be devastating. We know how to handle these cases. These situations are challenging because they are frequently undiagnosed by medical professionals. Even the victim may not notice that they have been injured, not until they start having trouble with short term memory, making decisions, vision or just feel confused. We are not afraid to dig into these cases, even when other lawyers turn them down. We will bring in the experts necessary to determine the nature of the injury, to find out how it impacts the victim’s life, their family, their ability to work and more. We will take every necessary step to put together a case designed to get you results. Brain injuries are often extensive and can require a lifetime of medical treatment and care. If you have been injured in a motorcycle accident, car accident, construction accident, truck or semi accident in which you have suffered a brain injury or have lost a loved one because of the carelessness of others, you shouldn’t have to face a future of unpaid medical bills, lost wages and emotional distress. Contact the Houston Brain Injury Attorney of The Gerardo Cantu Law Firm, P.C.. You need an advocate that is skilled in dealing with insurance companies and fighting for your rights. The Houston Personal Injury Lawyer of The Gerardo Cantu Law Firm, P.C. are experienced trial attorneys who fight for their clients to make sure they receive justice. If you have received a brain injury because of the negligence of others, the road to recovery can be long and painful. You shouldn’t have to worry about medical bills and how you will support your family. Make the call now to the Personal Injury Attorney of The Gerardo Cantu Law Firm, P.C.. Contact us for a free consultation: Call us or send us an e-mail. Get in touch with us today to discuss your head injury case with an experienced lawyer.